A snowmobile makes a fast and easy way to haul your gear out onto the ice for some hard-water angling fun. 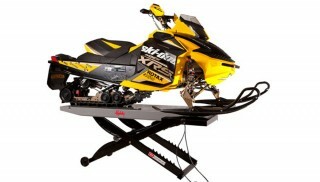 Preparing your snowmobile for ice fishing is pretty easy, especially with all of the cool accessories available today. A snowmobile is a great tool for both fun and work; if you want to call going out on the frozen lakes to chase fish work. Yes, it does take a lot of work and skill, but it is also a lot of fun and a great way to spend a cold day. A snowmobile makes it easy to get from the shore to the hot spot where the fish are biting without having to drive your truck out, which is never a good idea. Plus, riding a snowmobile makes you more mobile when the hot spot proves to be a dud. Setting up your snowmobile for ice fishing is pretty simple. With the right gear, you will have a better time and can focus more on catching fish and less time fumbling around with your stuff. 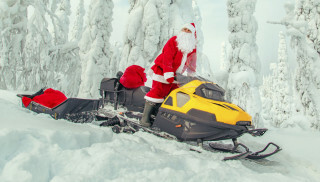 What is the Best Snowmobile for Ice Fishing? Utility snowmobiles usually make the best machines for ice fishing because they are equipped for hauling cargo, and tend to be not as high-strung as the performance sleds that favor speed and handling over pulling power and passenger comfort. 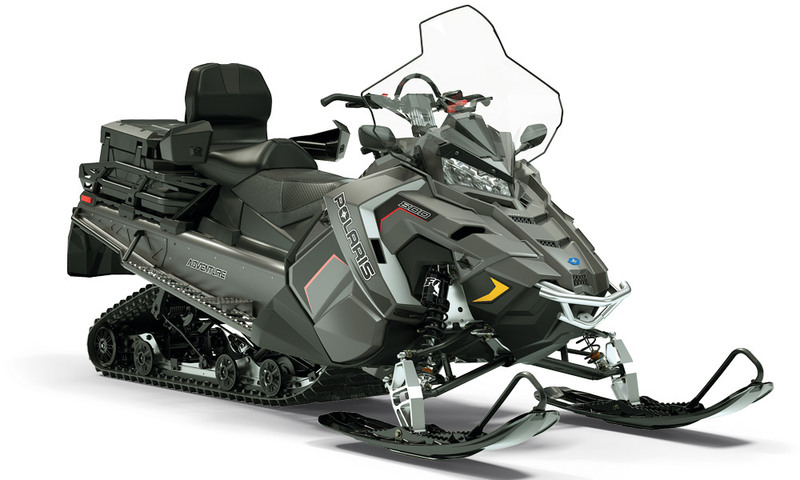 A few of our favorites are the Polaris Titan Adventure and Arctic Cat’s Pantera 7000XT Limited (which we wrote about here), as well as Yamaha’s VK540 and Ski-Doo’s Tundra Sport 550 (which we compared here). If you’re in the market for a new sled to ride and fish with, these are all solid options. Make sure that you’re starting out with a good running sled. Going out onto a small, local lake and having a break down is one thing, but you don’t want to go 20+ miles out onto a bay in the Great Lakes and suddenly find yourself with a malfunctioning snowmobile. You’d think having a mechanically sound snowmobile for ice fishing would be common sense, but these break downs happen every year. Make sure you have fresh spark plugs, and spares. What are Some Snowmobile Ice Fishing Modifications? Setting up your snowmobile for ice fishing doesn’t require much in the way of modifications. You’ll want to have a studded track to grip the ice. Studding a track is something that a person with average mechanical ability can do in an afternoon with just a few tools. Studs give you grip on the ice and hard surfaces without decreasing the ride quality and grip on snow and powder. 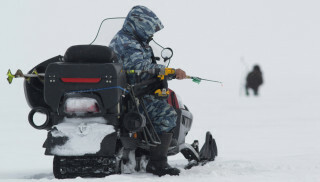 Savvy hard-water anglers will mount a GPS/sonar unit to their snowmobiles. There is sound logic behind this, too. It allows them to load lake maps directly to the GPS, so they know the body of water they are going out on. It also allows for marking points on the ice, such as pressure ridges and cracks, which can be a major hazard, especially if you’re cruising out after dark. Most big-water anglers won’t go out without a GPS unit for this very reason. The advantage of having a unit on the machine with the sonar is that anglers can drill a test hole and check the depth and activity from the snowmobile, without unpacking all of their gear first. 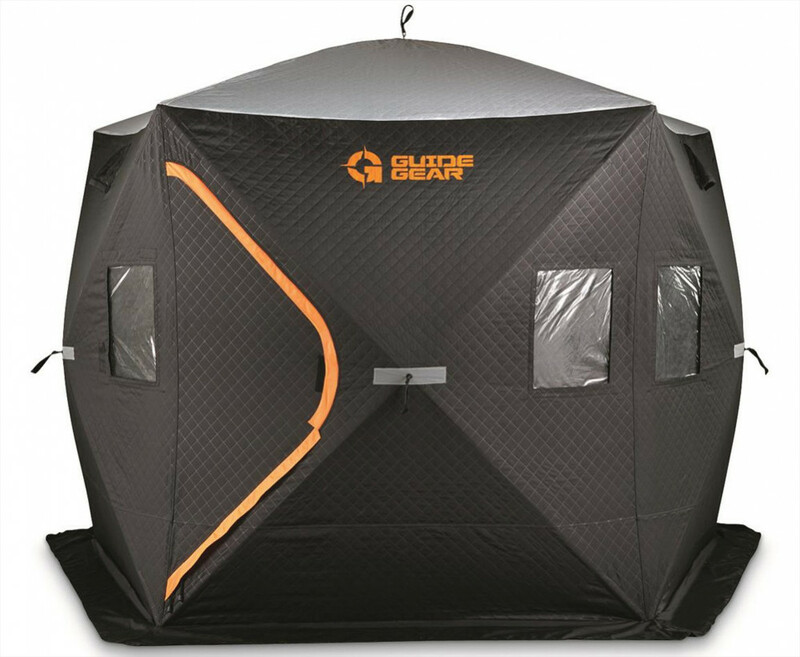 There are some very reasonable units that work well for this set up and they can be used from inside the ice shanty as well. The first piece of equipment you need to consider if you are setting up your snowmobile for ice fishing is something for drilling holes in the ice. Above anything else, you have to be able to reach the fish. Augers have come a long way, too. Hand augers are inexpensive but take a lot of time and great deals of energy. 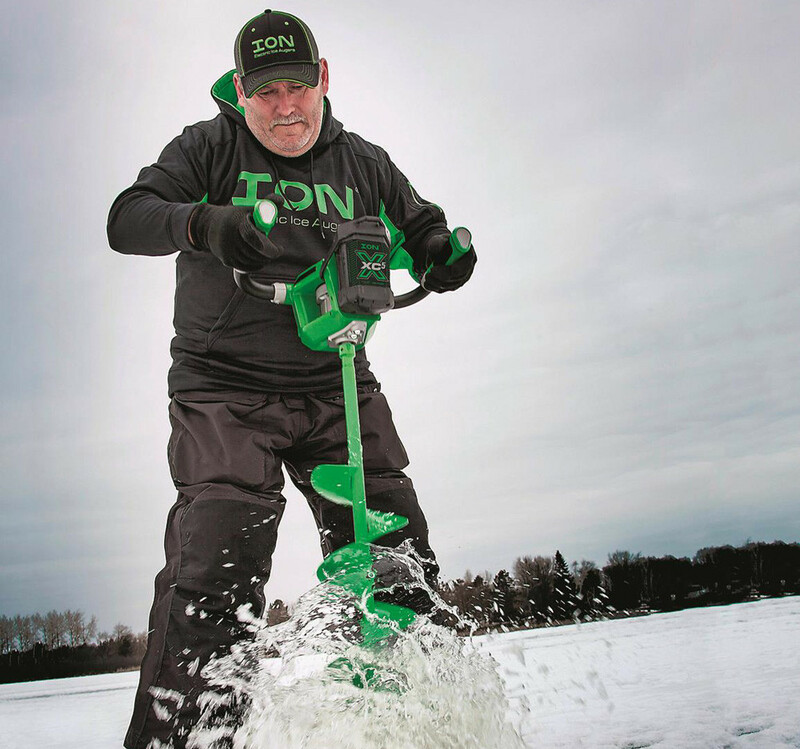 Powered augers are much better and make ice fishing much more fun. Traditional gas augers work well, but there is a newer alternative that works much better. Electric augers work with a Lithium-Ion battery that, when charged, will drill holes all day long and do so quicker and quieter than gas augers. Right now, there are killer deals to be had on select augers, like the Ion X, one of the best augers available. It has a 40v battery pack and straight blades for smooth holes. You can get either an 8- or 10-inch version and save at least $70. Carrying your auger can be a bit tricky, unless you’re prepared. Luckily, there are others who’ve been doing this a while. There are products, like the Digger Ice Auger Mount, that give you an adaptable way to carry your expensive auger up and out of the way, without the worry that it will fall off and get damaged. Another worthwhile piece of gear to consider when outfitting your snowmobile for ice fishing is a good tow-behind gear sled. Having something like the Beavertail Sport Sled can make a huge difference when it comes to hauling all of your gear around on the ice. 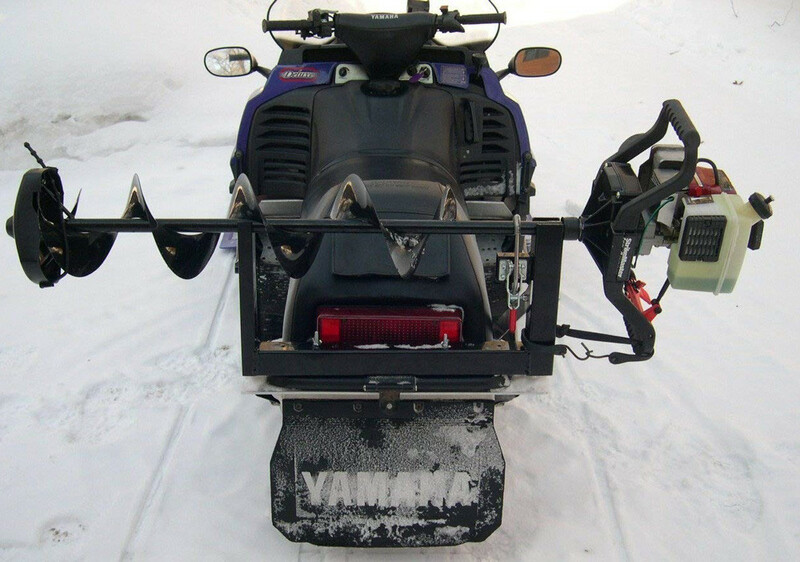 If your snowmobile has a trailer hitch, like some utility models do, you might want to consider a hitch kit for your sled. This gives you a solid attachment point for the sled to tow it behind your machine. Once you are out on the ice, you should have the right equipment to enjoy your time there. A portable shelter is really important for more than one reason. Primarily it gets you in out of the biting wind and cold. An added plus is that the darkened interior lets you see more of what’s going on under the ice. If the lake water is clear, and you’re into the fish, you can often get a good view of the action. These shelters also make a great place to park your snowmobile behind and out of the wind. When you are setting up your snowmobile for ice fishing, don’t forget about you! Normal snowmobile riding gear works great for keeping you warm on the trail, but there is another side to things when you head out on the ice. Remember that even though the ice may be thick and solid, it is still ice, and therefore unpredictable. 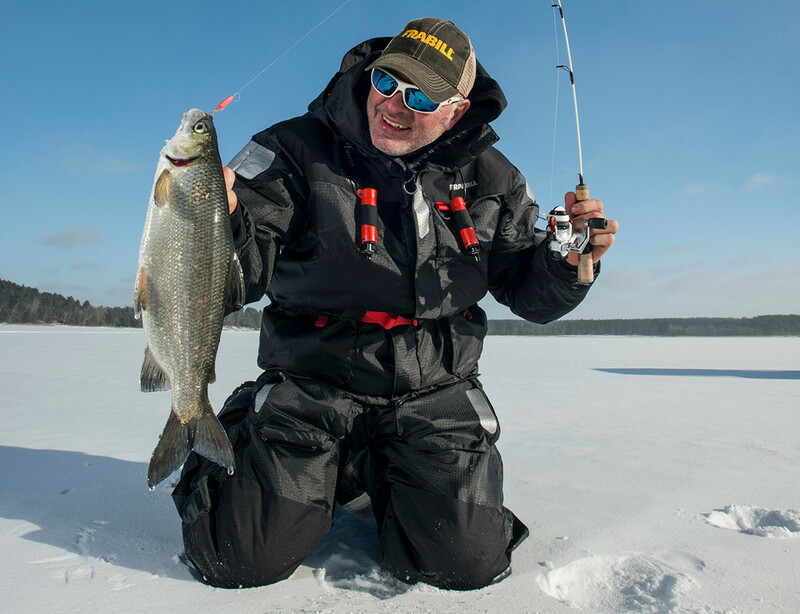 Some of the modern ice-fishing apparel has built-in, USCG-approved floatation. This gives you some extra peace of mind that if your snowmobile goes through the ice, you have some added protection to help you get out of the water and back to safety. The Frabill I-Float Jacket is windproof and waterproof. It comes with attached ice picks that you can use to help pull yourself out of the water. Plus, it’ll keep you warm.